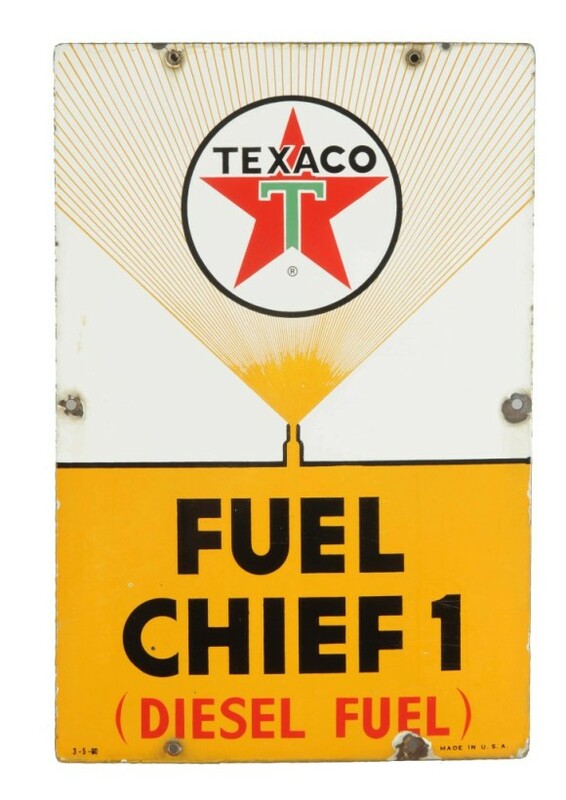 The Texaco Fuel Chief 1 sign is a SSP meant to be hung near a pump. The sign is bright yellow on the lower half and white on the top half. The Texaco logo is position at the center, top. The text reads “Texaco, Fuel Chief 1 (Diesel Fuel).” The sign is dated 1960 and measures 18″ by 12″.